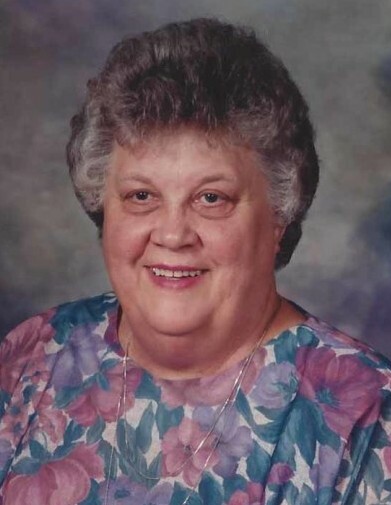 The Lord welcomed Ruth Moen into his presence on Saturday, February 9, 2019, after passing away in Harmony River Living Center, Hutchinson, MN. Ruth Carol Naomi Moen was born on November 14, 1931, in Higdem Township, Polk County, Minnesota. She was born on the rural homeplace to John and Anna Ruth(Hanson) Bergman. Ruth was baptized as an infant and later confirmed at Elim Lutheran Church, rural Alvarado. In her youth, the family resided at the rural Oslo farm. She attended District 86 Country School for her kindergarten- 8th grade education before attending and graduated Alvarado High School in 1949. Ruth continued her education and graduated with a Registered Nurse Degree from the Deaconess School of Nursing in Grand Forks, ND. Ruth continued working as an R.N. in the emergency department in Deaconess Hospital. 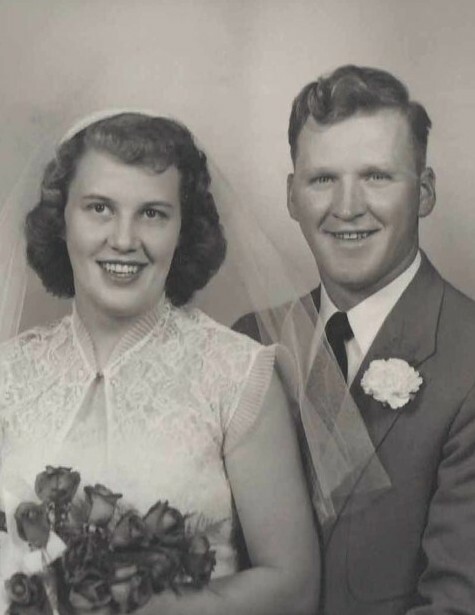 On September 18, 1953, Ruth was united in marriage to Ardell Moen at Elim Lutheran Church. Their union was blessed with three children and they resided in Alvarado where Ruth worked as a paraprofessional at Alvarado Public School. After sharing 23 years of marriage together, Ardell passed away at the age of 50, in 1976. Ruth was a terrific and loving mother, wife, and friend. She enjoyed actively participating in her community whether it be part of the WELCA group at New Hope Church, Elim Church Council, or serving as President and Secretary for the Alvarado American Legion Auxiliary Post. In her later years, Ruth would write on 100 or more holiday cards for veterans at the local Fargo Veteran’s Hospital. In her free time, Ruth enjoyed baking Swedish delicacies for all to enjoy. She loved decorating with Swedish items and family heirlooms. Christmas was her favorite holiday where she made her home festive and open to all. She enjoyed spending time with her grandchildren and great-grandchildren. Ruth’s humor was one to enjoy as she loved to pull someone’s leg and could argue her viewpoint with a lawyer’s finesse. When Ruth’s health began to fail in January of 2014, she moved to Good Samaritan Heritage Grove Center in East Grand Forks. After her health declined further, Ruth left her beloved prairie to live near her children in Hutchinson. Ruth will be dearly missed. Blessed be her memory. Ruth is preceded in death by her parents, John and Ruth Bergman; husband, Ardell; brothers, Russell (Bernice) Bergman, Nels Bergman, and Paul Bergman; sister, Anna Mae (Maynard) Hawkinson and infant sister, Luverne; brothers-in-law, Bruce Bergen and Ervin Moen; and son-in-law, Mark McNelly. Ruth is survived by her three children, Patricia McNelly of Battle Lake, MN, Peggy (Roger) Moen-DeMeyer of Hutchinson, and David (Jill) Moen of Cibolo, TX; seven grandchildren, Katie McNelly, Brianna McNelly, John (Casie) DeMeyer, Joe DeMeyer, Megan (Nick) Fortuno, Andrea Moen, and Matt Moen; great-grandchildren, Josilyn and Finley Morical, and another on-the-way; sister, Helen Bergen; sisters-in-law Hank Bergman, Joyce Bergman, and Connie Moen; and numerous nieces and nephews. The Moen family would like to offer their gratitude to everyone who has helped us celebrate our mother's life. If you do not happen receive a thank you card, know that your contribution has not been forgotten and anything you have done is held deeply in our hearts. FUNERAL SERVICE: Saturday, February 16, 2019, at 10:30 AM, in New Hope Lutheran Church, Alvarado, MN. INTERMENT: Elim Lutheran Cemetery, Alvarado, MN.